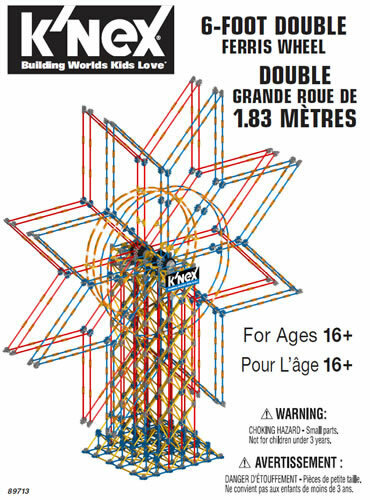 The K'NEX control motor is manufactured by taking a K'NEX Tethered battery motor, removing the red battery box, and adding a 4mm jack plug to the end of each wire. The control motor is ideal for use with control devices such as Flowgo and Egg-Box. 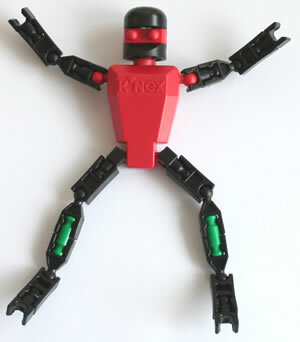 K'NEX control motors can be bought in our K'NEX shop. 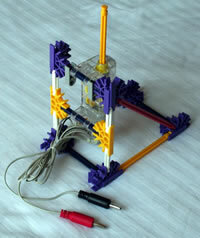 The photo shows one way in which a control motor may be attached to a K'NEX model. 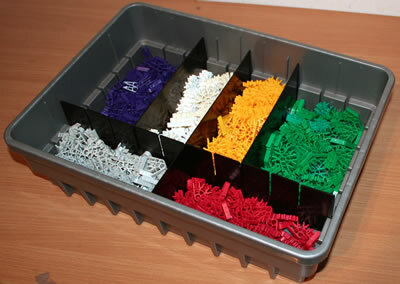 Handy Hint M2 gives more detail on how to use the motor to drive K'NEX models.